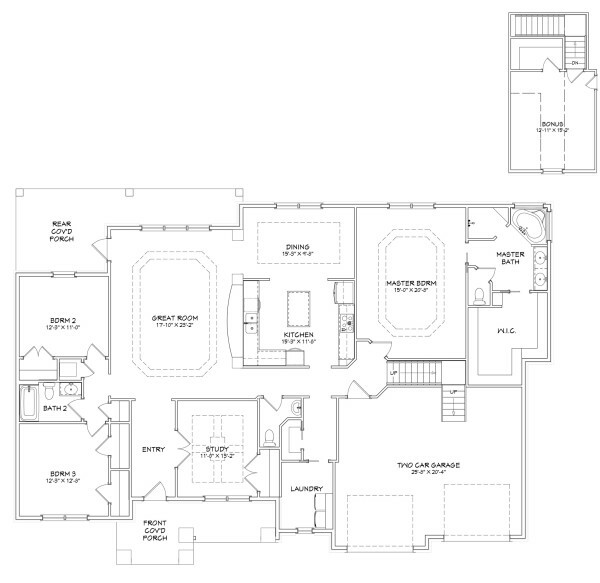 ​This beautiful plan offers everything you could want in a home and more! With three bedrooms, two and a half bathrooms, study, and bonus room, this home is perfect for everyone! Master Suite features large tub, tile shower, an huge walk in closet. Two extra bedrooms are spacious and split from the Master. Home has an open kitchen that overlooks the Great Room and Dining Room. The home comes standard with crown molding, trey ceilings in Master Bedroom, Great Room, and Dining Room. As well as coffered ceiling in Study, and granite counter-tops. At 2,785 square feet, this house is will fit all your needs!